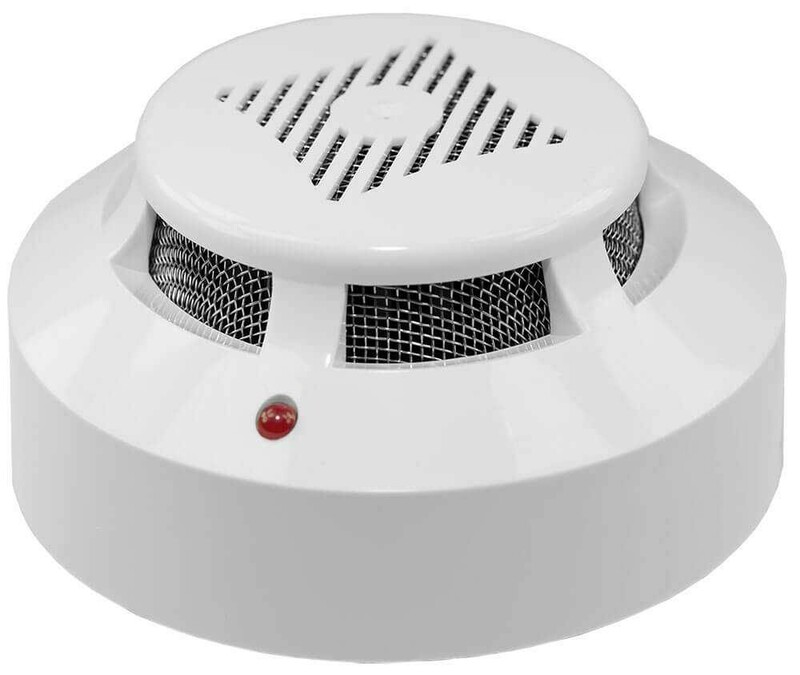 Product information "Smoke, Humidity and Temperature Sensor"
At installation indoors, inside the rack etc., sensor monitors occurrence of smoke, temperature and humidity inside the building. Automatic restoration of power after the actuation. Max. distance from the monitoring unit is 200 meters. Related links to "Smoke, Humidity and Temperature Sensor"
There are mounting holes on the bottom of the case for fastening. Fasten sensor, connect CAN inputs to the input of the previous CAN unit, sensor or of the monitoring unit. The red LED lights up. Match the bus terminators of the CAN units. Switch terminator TR in ON position on the monitoring unit and on the last CAN unit, TR on intermediate CAN units are in Off (1,2) position. Maximum 8 CAN units, sensors and/or devices can be on one CAN bus. Connection To connect sensor unit to the system, log into the interface -> Preferences -> Can Config -> CAN1 or CAN2 (depends on which physical port CAN1 or CAN2 of the system the unit is connected). Click Config button and wait. The system will poll the bus CAN and give rows with data, if successful will write: Done!. CAN modules and sensors will appear in the list. Click Apply and then click Restart. Go to --> System Map / Floor Map, click Refresh button, or wait, new devices and new sensors will appear in the tree. Green LED will light up when CAN sensor is connected and successfully determined by the system. Connection is not successful if after clicking Config, the poll is reset before the phrase "Updating". Check whether terminators on the bus line are set in the right position, change their position using TR switch if needed. Supply includes Sensor, 3-wired shielded patch cable RJ12 (2m), bracket, 2 screws and 2 nuts M4, 2 screws 4.8×20mm, double sided sticker. Customer evaluation for "Smoke, Humidity and Temperature Sensor"
Perfect supplementary for server room protection. I'm glad I bought it. Perfect supplementary for server room protection. I'm glad I bought it. Mark P.